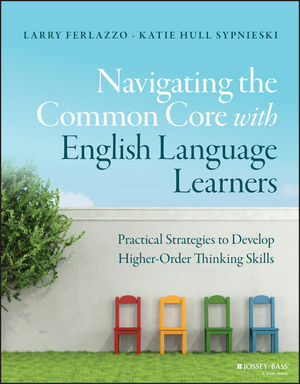 Navigating the Common Core with English Language Learners is the much-needed practical guide for ESL/ELL instructors. Written by experienced teachers of English Language Learners, this book provides a sequel to the highly-regarded ESL/ELL Teacher's Survival Guide and is designed to help teachers implement the Common Core in the ELL classroom. You'll find a digest of the latest research and developments in ELL education, along with comprehensive guidance in reading and writing, social studies, math, science, Social Emotional Learning and more. The Common Core is discussed in the context of ESL, including the opportunities and challenges specific to ELL students. Ready-to-use lesson plans and reproducible handouts help you bring these ideas into the classroom, and expert guidance helps you instill the higher-order thinking skills the Common Core requires. The Common Core standards have been adopted in 43 states, yet minimal guidance has been provided for teachers of English Language Learners. This book fills the literature gap with the most up-to-date theory and a host of practical implementation tools. The ELL population is growing at a rapid pace, and the ELL classroom is not exempt from the requirements posed by the Common Core State Standards. ESL/ELL teachers know better than anyone else how critical language is to learning, and ELL students need a specialized Common Core approach to avoid falling behind. Navigating the Common Core with English Language Learners provides specific guidance and helpful tools that teachers can bring to the classroom today.